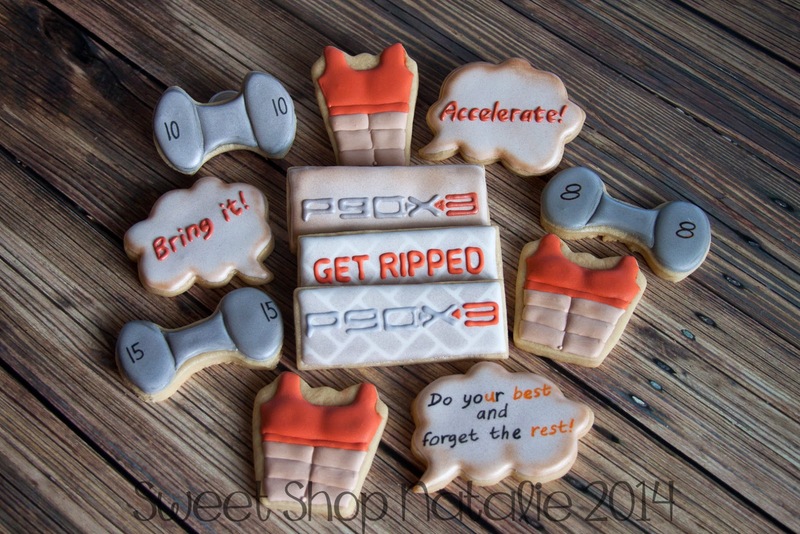 Sweet Shop Natalie: P90X3 Cookies! They go together right?? 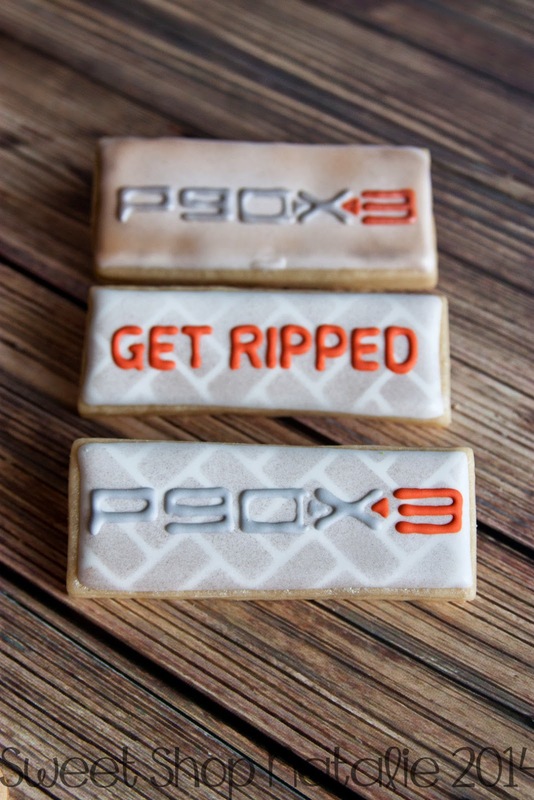 P90X3 Cookies! They go together right?? 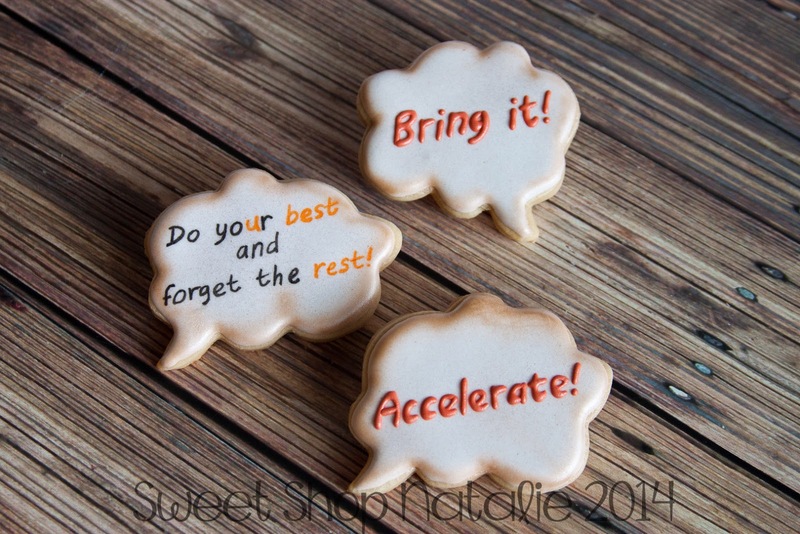 I am so sad that I did not post these cookies last year! 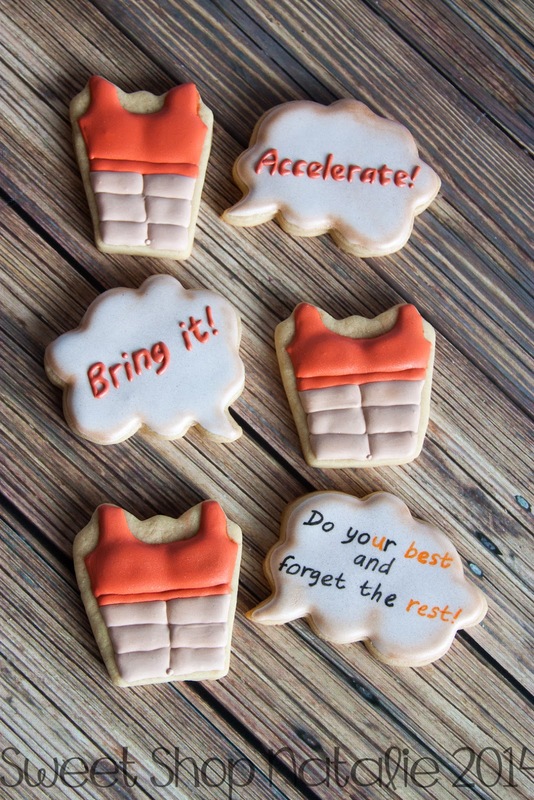 My good friend wanted to celebrate her accomplishing completing P90X3 program with themed cookies!! What a fun thing to do and believe I have tried out a few of those workouts from the program so far and man they are HARD!! 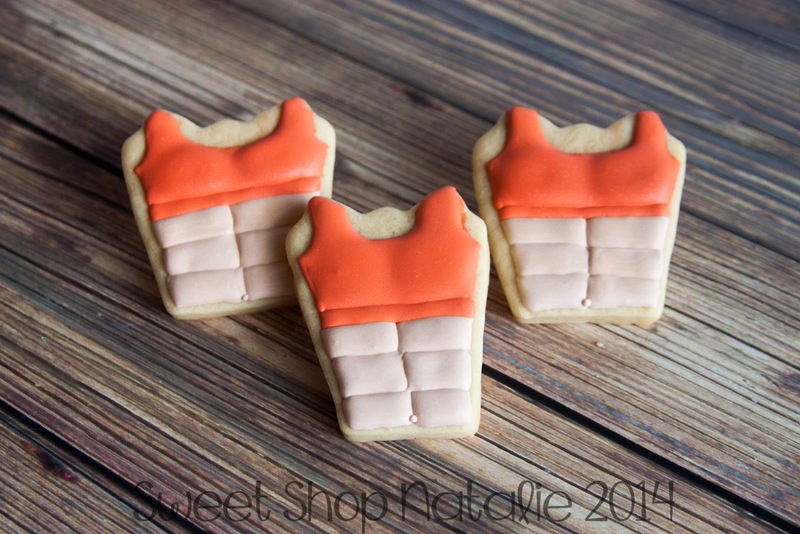 She is totally ripped and she deserved everyone of these cookies cause she burned all the calories in these cookies in at least one workout! 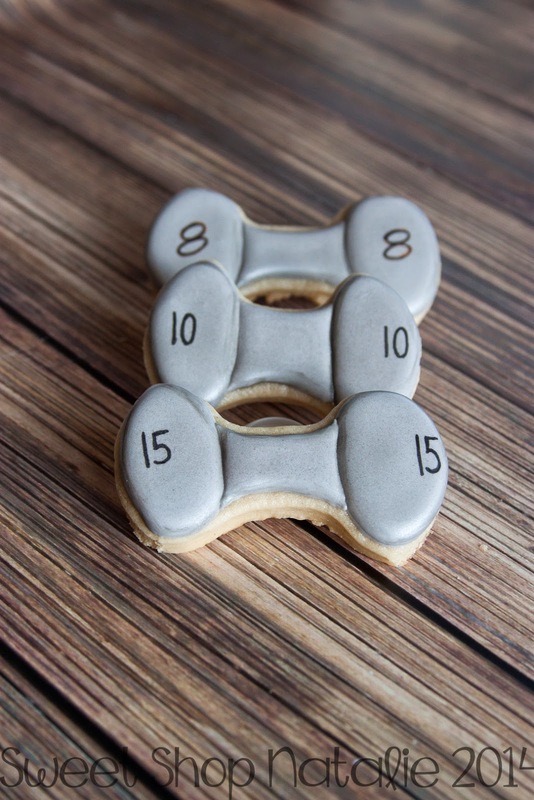 These six pack cookies were my favorite! Some of Tony Hortons catch phrases!